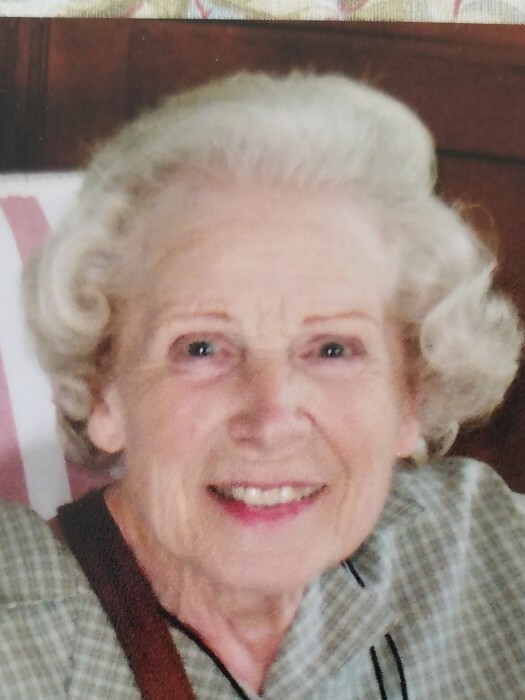 DOROTHY MAE RUSSELL, age 93, died Thursday, April 5, at Premier Estates in Oxford. She was born December 9, 1924 in Reading, Ohio, to Carlton M. and Maud Teepell Russell. She was educated in the Reading City Schools. She spent her entire career working for Smurfit Stone Corporation and, after retiring, moved to Oxford to be near family. Our aunt was a selfless woman who enjoyed the small things in life. She had a ready smile and an infectious giggle. Our delight was her delight. She was the kind of aunt any child would love to have and you could talk her into playing just about any game—especially card games. As she dons her angel wings and enters the gates of Heaven, may she rest in eternal peace. She is survived by her nieces: Patricia Richardson, Sandra (Robert) George, and Donna (John) Skillings; one nephew: Kerry (Barbara) Ernst; and many great-nieces and great-nephews. She is preceded in death by her parents, by her sister, Evelyn Russell Ernst, by a nephew, Kenneth Richardson, and a great-niece, Kristen Shackelford. Burial will be at Oak Hill Cemetery in Glendale, Ohio, at the convenience of the family.